Tim focuses on retirement planning, estate planning, charitable giving strategies, investment management and insurance analysis. He is a CERTIFIED FINANCIAL PLANNER™. He is licensed as a registered representative of Sigma Financial Corporation in Ohio, Michigan, Indiana, Florida, and Arizona. He is licensed as an investment advisor representative of Sigma Planning Corporation in Ohio, Michigan, Indiana, Florida, Arizona, Colorado, Tennessee, Illinois, Alaska, New York and Virginia. 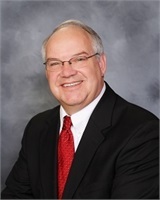 He has been a guest speaker and instructor on financial planning, retirement, and estate planning topics for The Ohio State University Extension and Northwest State Community College. Prior to beginning his financial planning career in 1992, Tim was a District Manager for a national retail chain.